Are you looking for a Graduate or Junior Account Exec position in Consumer Tech PR? Dynamo PR is an award winning PR agency with international reach, providing integrated PR, social media, and SEO for Consumer Tech, Mobile and Digital brands. Based in Central London, you can expect a fun and knowledgeable group who are keen to find a rising star who has a passion for all things techy and geeky. We’re creating a number of roles requiring various levels of experience, from none to a couple of years. Your time will be split between supporting activity on campaigns and training within the industry, which will help develop your skills and expertise to help you become a specialist in your field. Ideal candidates will be educated to degree level with a strong academic record, have excellent attention to detail, come armed with a genuine interest in technology and be able to demonstrate this with a good awareness of industry news and the key players. For the Junior Account Exec role you should have existing experience of implementing PR campaigns for technology brands, as well as a growing network of relevant media contacts. 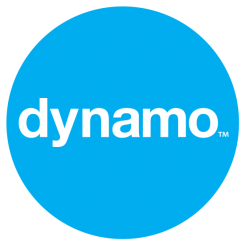 In the first instance, please email jobs@dynamopr.com with a press release explaining why you’d be perfect for Dynamo, attaching your CV.